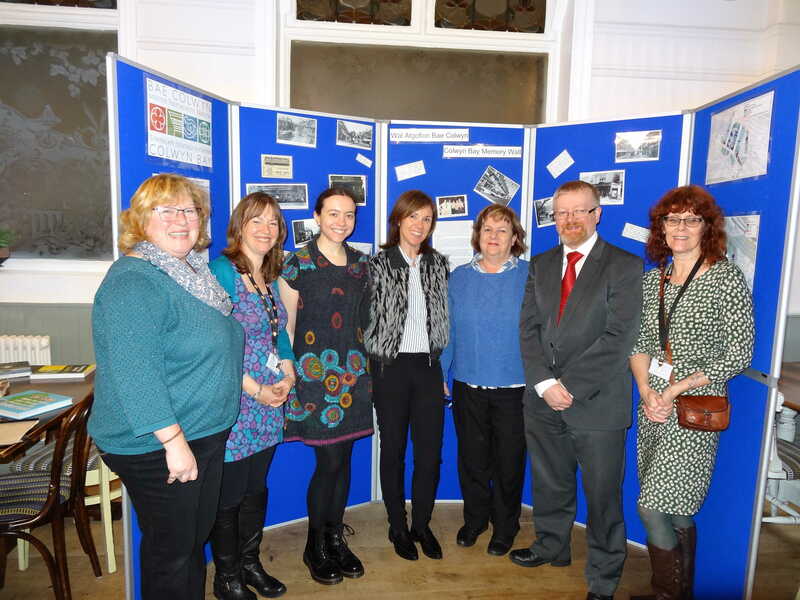 In January 2016, Colwyn Bay THI launched the Colwyn Bay Scrapbook project, which will look at ways to bring people together to remember Colwyn Bay’s past; the project will also gather written memories and photographs to preserve them for future generations to enjoy. The launch took place in the Station pub in Colwyn Bay, which was a Colwyn Bay THI priority project, and was well attended. We really enjoyed chatting to people about their recollections of the town over cups of tea and coffee. This event is the first of a series of ‘Colwyn Bay Then & Now’ coffee mornings which will be held at the Station pub. These are being run in partnership with 5 Ways to Wellbeing; each event will be held from 10am to 12pm, everyone who drops by will receive a free cup of tea or coffee, and will take place on the last Tuesday of every month, apart from December’s event which will take place on the Tuesday 20th of December. Photo left to right: Rita Stewart (‘The Station’ Landlord), Delyth Philipps (5 Ways to Wellbeing), Katherine Dutta and Judi Greenwood (Colwyn Bay THI); Cllr Glenys Baker (Heritage Champion), Cllr Chris Hughes, Jayne Neal (5 Ways to Wellbeing).